You’ve taken the steps to prepare for this day and now moving day is finally here. If you’re just moving across town or making a long-distance move in Canada, moving day can be stressful and exhausting. Before you start to panic, keep in mind these tips to help you stay sane and get through moving day smoothly. Be Prepared – not just a good motto for the boy scouts, being prepared before moving day is key to everything going to plan and being able to adjust when they don’t. If you’ve hired movers, have all your paperwork signed and available and any belongings you packed yourself ready to go. Arrange to have the keys to your new place available when you arrive, if you don’t already have them. Double-check the route to get to your new destination, planning for any construction or traffic delays. Get Up Early – allow yourself plenty of time to get everything together the day before or the morning of your move to save money, as many movers charge by the hour. Eat a good breakfast that morning to give yourself plenty of energy to get through the day. Create an Inventory List – for long-distance moves, the Good Practice Guidelines for Canadian Movers requires that your moving company tag and inventory all your belongings. You should receive a copy of the inventory as well for your records, which you can use at the new house to assure all your items make it. If you’re moving yourself, make your own inventory list so you can track your items and make sure everything arrives safely. Keep Supplies Handy – you’ll want to have extra boxes, packing materials and tape handy just in case you come across items that didn’t get packed before moving day. It’s also a good idea to have cleaning supplies on hand to do any last-minute touch ups on your old house before you leave. Have extra charging cords available for your phones, tablets and computers too. Take Valuables with You – make sure your important documents, computers, jewelry and other valuable items are stored and transported in a safe place. It’s usually best to keep these items with you at all times. Any leftover food or perishables you plan on taking along with you should be put in well-insulated coolers with plenty of ice for the trip. Do a Final Walkthrough – after you or the movers get everything out of the old place, go through room by room to check for any items left-behind. If you or the movers caused any damage moving your belongings out, report that to the moving company, your landlord or the new owners. Have Snacks Handy – whether you’re doing everything yourself or have a crew coming in to do the heavy lifting, have healthy snacks for everyone to enjoy. Not only will it keep your hired helpers happy, it will keep your volunteering friends and family energized to get the job done. 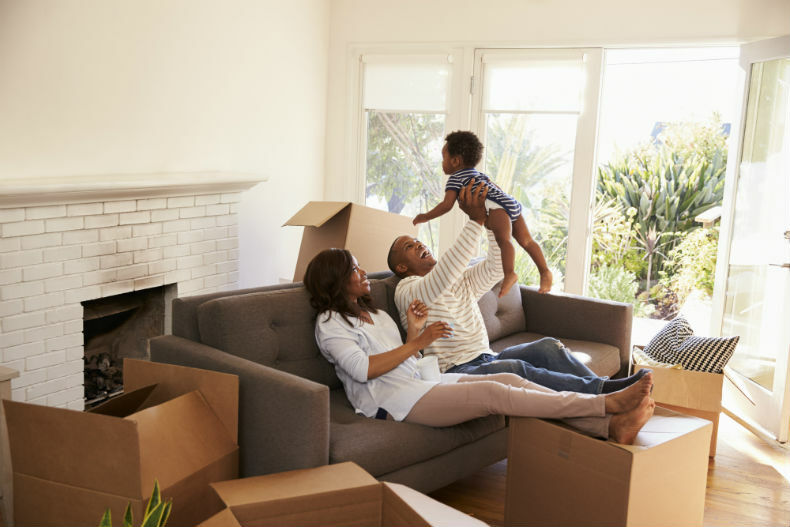 Make Arrangements for Kids and Pets – before moving day, hire babysitters or solicit the help of friends and family members to watch younger kids. Older kids and teenagers can be extremely helpful the day of, moving boxes and assisting with cleaning, if they’re willing to help out. Knowing your children are well cared for and out of the way will make your day less stressful. Same with pets; arrange for them to be boarded that day or stay with another person. Pack a Suitcase with Extra Clothes – more than likely, when you arrive at your new house, you’ll be too exhausted to even think about finding clean clothes. Pack a suitcase with a few days’ worth of clothes so you’ll have clean clothes at the new place without having to unpack all your clothing boxes. Also, have the basics like toothbrush, toothpaste, shampoo and deodorant handy.